Paying with credit card? Whether you’re in a rush, using EFTPOS or can’t remember your PIN, there’s an option for you. Using a credit card or a debit card is no longer a case of just swipe and sign. A combination of problems with fraud and the busy lifestyle we lead is behind the design of more options for processing a purchase than most of us would care to think about. Not only do we need to decide whether to use cash, credit, or debit/EFTPOS, we now have to make even more decisions at the point of purchase. For instance, when the credit option is selected on a credit card or debit card, we are faced with the option to swipe the magnetic strip, to insert the chip into the reader, or to tap or wave the card against the contactless reader. Your PIN is your Personal Identification Number, a 4-digit code that you use at point of sale when using credit or debit instead of signing. PIN numbers are a security measure designed to prevent card fraud, while also speeding up and simplify the payment process. Most people have had plenty of practice with this through their EFTPOS cards. It is generally faster than printing off a slip to sign, signing it, and checking the signature against the back of the card. As long as you can remember your PIN for each card, that is! PIN numbers also aim to make credit card payments across New Zealand more secure. Someone trying to guess an individual’s PIN has only a 1 in 10,000 chance of guessing correctly, whereas signatures can easily be forged. Consumers should be aware that they are liable for transactions where a PIN is used, so keep those numbers safe. Don’t keep them written down anywhere if you can help it. Can I still sign for purchases? Yes. Customers using foreign credit cards issued overseas can still sign the receipt for their purchases; this may include your American Express card. And for those who may face difficulties with using a PIN number, signature-only cards will be issued by certain financial institutions to assist those with special requirements. This will benefit people with conditions such as cerebral palsy or arthritis that make entering a PIN challenging; or people whose dementia makes remembering a PIN number impossible. Customers should meet with their card issuer to discuss options. What is a credit card chip payment? 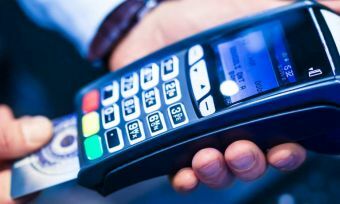 Chip payments are to be used as an alternative to the magnetic strip wherever possible, as they reduce the chance of card skimming and credit card details being compromised by illegal scams. Simply insert the end of the card with the chip into the EFTPOS machine. Also known as NFC or Near Field Communication payments, contactless payments with a card are made through Visa’s payWave and MasterCard’s PayPass or Tap & Go service. Contactless payments are also available using digital wallet apps or mobile banking apps on your smartphone. To make a contactless payment using a card, simply hold your card against the reader for one second. 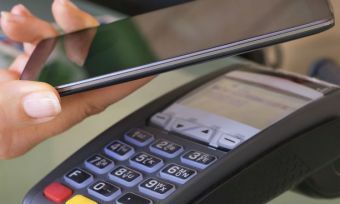 For smartphone contactless payments, you may have to open the required digital wallet or mobile banking app, enter any PIN required, and then hold your smartphone against the reader for a second to process the payment. Transactions under $80 do not require a signature or a PIN, increasing efficiency for small transactions. The technology is best suited to high-volume, low-spend outlets such as cafes, fast food outlets, and convenience stores. Payment processing is currently in the awkward puberty phase, with new developments that have not made a full transition into the retail area yet. Safe and efficient is the noble end goal of the change, but this requires further hardware rollouts and better education – for both consumers and retail staff alike.